In today’s age where televisions have been over taken by LCDs, Benq projectors are still trying to hold their niche and very well so. There are numerous projectors that are revamping the home theatre scenario making it more user friendly. Another of such projector’s is the BenQ HT 9060, being termed as the HDR-PRO the BenQ HT 9060 has actually delivered full HDR quality in terms of pixel quality. The projector has a resolution of 4K Ultra High Definition (3849 x 2160). The brightness of the projector can be seen from the fact that it used 2200 ANSI lumens. The chip inside the projection lens uses XPR at a native resolution of 2716 x 1528 which is doubled with it is thrown to the screen. The overlap of the doubled beam results in Ultra HD. The projector throws nearly 8.3 million pixels which are so evenly distributed that you cannot see the gaps between individual pixels. The premium lens makes sure that none of these pixels are distorted ensuring edge-to-edge quality with a uniform color and clarity over it. The DCI-P3 color gamut means that it delivers 93.8% coverage which means that the consumer will get to view the brightest and the clearest picture possible. The HDR-PRO in the BenQ delivers image that are not only better than SDR but also clearer. The BenQ is a great development from the dim LED projectors because of latest Color Spark LED by Phillips. The BenQ HT 9060 is easy to install and wherever you mount it, it is capable of throwing a beautifully clear picture beam. You need to adjust the focus, zoom and shift controls when setting the projector up but they will remain the same until changed. The fact that the projector supports both digital and analog inputs, the signal compatibility is great. The picture menu lets users choose the option best suited for them. The projector is intelligent enough to make changes on its own depending upon the picture quality of the media being played but you can always keep a uniform setting of your liking. 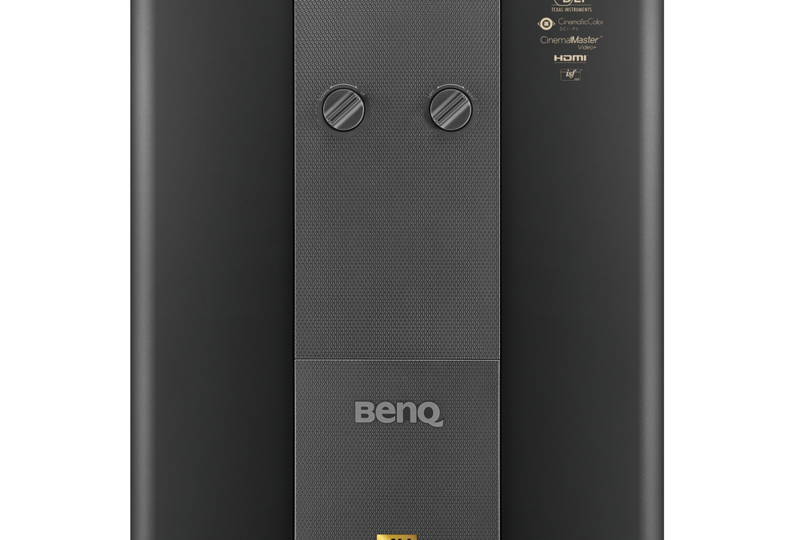 The BenQ HT 9060 weighs at 40.8 lbs. The cooling fans inside the projector are high quality but they do not make any noise. They do not meddle with the sound and you will only hear a faint whisper when close to the device. All in all, the BenQ HT 9060 is an impeccable projector that gives immense clarity and customized viewing options. Priced at $8,999 delivers a great cinematic picture for the user. Once the projector has been set according to one’s taste it will be a pleasure to use.